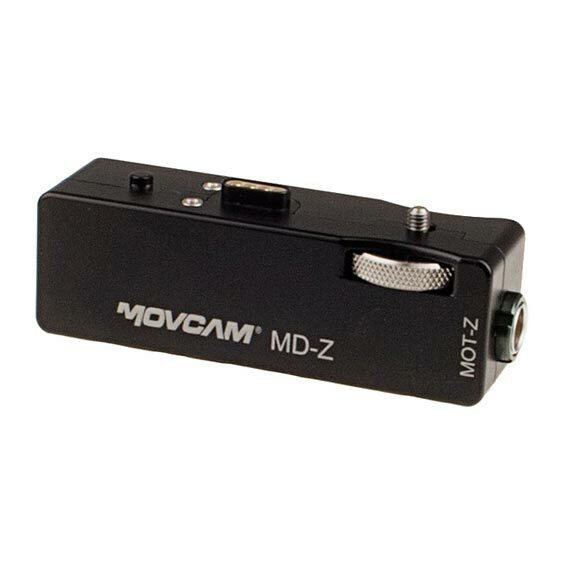 Expand your Movcam wireless lens control system with the MD-Z Zoom Motor Drive Module to enable wireless adjustment of your lens' zoom by connecting to a compatible lens motor. The MD-Z stacks onto the MRS-1 Receiver Module (sold seperately) for a scalable, unified solution. If combined with the MCS-1 hand unit, the system can be further expanded with the MD-I to assemble a full 3-axis FIZ control system.